You might think a turn-of-the-20th-century Colorado resort modeled after old-world European craftsmanship resting at the base of majestic Cheyenne Mountain would be breathtaking. And you would be right. You might also think this esteemed enclave that's attracted numerous dignitaries, magnates and celebrities throughout nearly 100 years wouldn't be suited to everyday families. And you would be dead wrong. 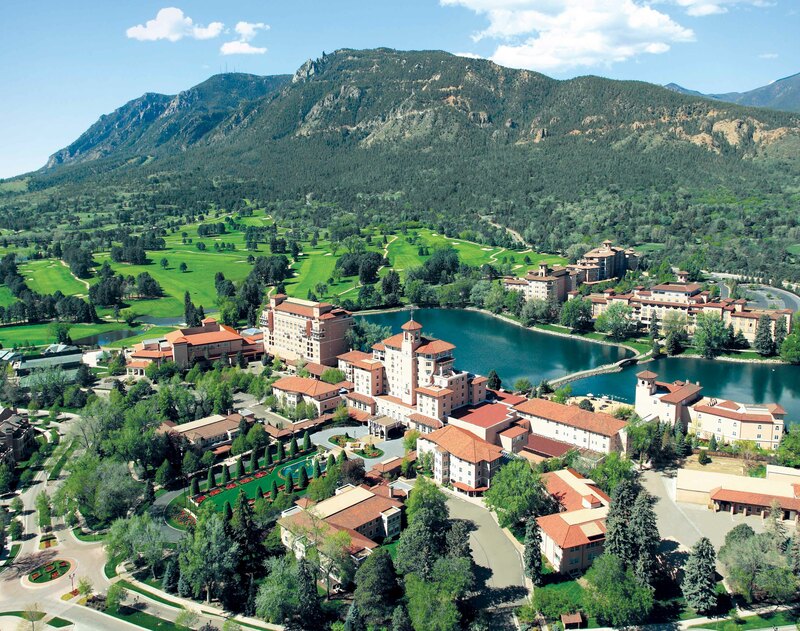 The Broadmoor in Colorado Springs, Colo., is the classic union of upper-crust society and the rugged Old West, minus any pretense. Opened in June 1918 by Spencer and Julie Penrose, the "Grand Dame of the Rockies" may exude Ivy League formality. But behind that pink-stucco façade awaits unadulterated, let-your-hair-down fun. Here are five reasons my family and I can't wait to return to this mountainside retreat. I don't tend to love bowling alleys. Because typically it means I've been forced by my husband or sons to actually bowl, which inevitably results in taunting from all three. 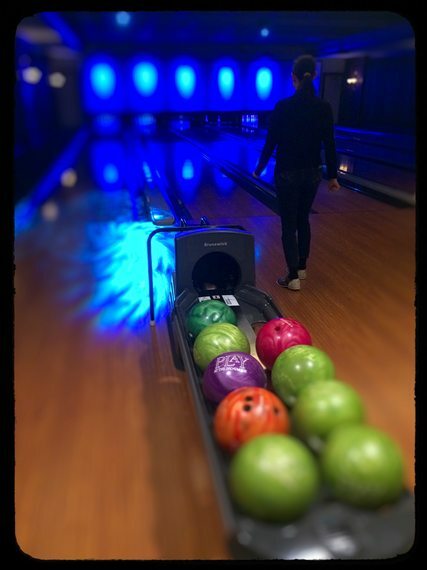 "Mommy needs the bumpers!" They like to chant after my frequent gutter balls. But a bowling alley complete with gourmet food and desserts that take my mind off of my deplorable skills? Yes, please. Not only does the resort's six-lane alley offer a "play" area with shuffleboard and pool tables, as well as gaming consoles like Wii. But there's also an extensive wine and local craft-beer selection, in addition to mouthwatering menu items including New Mexico Nachos and Chicago-style hot dogs. Even sushi. But I was most fond of the dessert menu, a modern twist of five nostalgia-inducing, childhood favorites: chocolate ho-hos, strawberry pop tarts, nutter butters, caramel delights (modeled after Samoas of Girl Scout fame) and--drum roll, please--drumsticks. How is a girl to choose? Duh. You just order all five. Worth. Every. Calorie. Asking my boys what they loved most about staying at the Broadmoor inadvertently caused a fight because each wanted to be the first to answer: "The classes!" Followed by, "Hey, I wanted to say that!" "No, I did!" Part of the Family Passport program, visitors from November through early April can participate in complimentary, family-friendly activities--exercise or dance, photography and golf, to name a few--filling in their "passport" along the way. "When we're there, we forget that we're close to home," Mueller says. "Which is a lovely thing." I have to admit as a third-generation Coloradan that my perception of the Broadmoor was that it was a bit...um...uppity. What could possibly await a modest family of four beyond its crested enclosure? In addition to the bowling alley and requisite pools--three including two year-round ones (an indoor Spa pool and outdoor, heated lap pool) as well as a seasonal, outdoor infinity pool--there's an on-site movie theater that's free for guests. And the rooms? I'm not one to get overly giddy about lodging. But we stayed in one of the resort's six Cottages comprising a grand, central parlor surrounded by eight individual suites, ideal for a family gathering. Or, in our case, perfect for my boys to spread out--i.e. fully mess up the place--reducing chances for brotherly combat. A final, family-friendly touch? Milk and cookies awaiting us after dinner on our last night there, complete with the adult version: wine and gourmet chocolate. I'm not talking standard kid fare like macaroni and cheese or chicken fingers. I mean real "Youth Menus" tailored specifically to kids. At the resort's Ristorante Del Lago, for example, my kids' "first course" options included house mozzarella and heirloom tomatoes, or a salad of baby lettuces and herbs. In addition to pasta and pizza options, they could also select "plates" like rotisserie chicken with fire-roasted potatoes, or cod with mint-honey carrots. Of course, my 8-year-old son chose his standby, cheese pizza. But it was so good I had to sneak a slice for myself. And his choice of dessert--Tartufo di Pizzo, a chocolate and pistachio ice cream truffle--made me set aside my own so I could savor more bites of his. As self-professed food snobs, Mueller says, the Broadmoor's youth menus are another draw for her family. "When we eat, really want to eat at a nice restaurant," she says. The problem, however, is that they often like to bring along their daughters. But not every restaurant is as accommodating as their favorite Broadmoor eatery, The Summit. "They're just so gracious to our children," she says. And if you get a chance to frequent the resort's British-style pub, The Golden Bee, kids will love "getting stung." I don't want to ruin the surprise. But I guarantee the fish and chips won't be the only thing they'll remember! Established in 1926 by Spencer Penrose as the Cheyenne Mountain Zoological society to house his collection of exotic animals (adjacent to the Broadmoor), the resort offers free shuttle service daily to what I would argue is one of the most beautiful zoos in the world. Not only is its mountain setting unique (elevation 6,800 feet), but it's also a special treat to feed the zoo's renowned giraffe herd, said to be the largest in any zoo. Another unique feature? Tour the property via Mountaineer Sky Ride, a chair-lift style ride offering spectacular views of the zoo and Colorado Springs. For more information, visit www.cmzoo.org.